Pioneers are tasked with starting new groups of believers in neighborhoods where there is no Adventist presence. Kamala is a Global Mission pioneer in New Delhi, India, one of the most densely populated cities in the world. Pioneers are tasked with starting new groups of believers in neighborhoods where there is no Adventist presence. Over time, Kamala has made friends in her community. By God’s grace, people have been open to the gospel message and want to learn more about Jesus. Every Sabbath she speaks to a growing congregation that meets in a small room. Kamala visits people in their homes to get to know them better. Through relationships and word of mouth, this group has grown from a small few to a crowded room. One of the members is Karishma. She came to know Jesus because of Kamala’s visits. Her mother had been sick in bed for 25 years, with little hope for recovery. Since she was always home, she overheard the two women talking about Jesus. She was afraid that Karishma would want to become a Christian, so she warned her not to trust Kamala. Karishma didn’t want to upset her mother, but she truly believed the Adventist message. Against her mother’s advice, she decided to be baptized. She prayed faithfully for her mother every day. Kamala continued to visit and began telling Karishma’s mother of Jesus’ healing power. 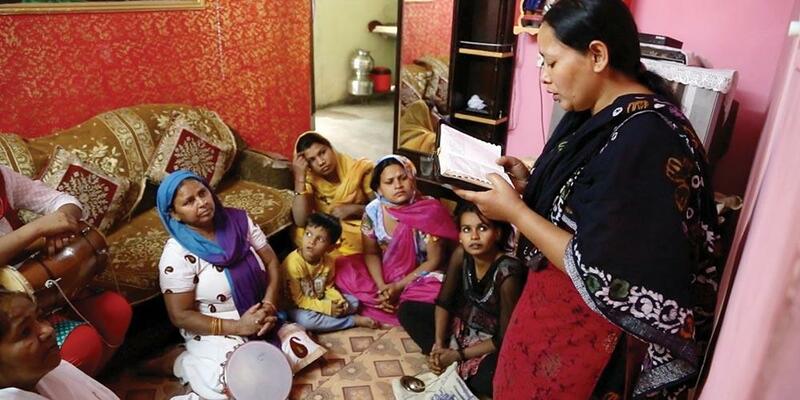 Eventually, Karishma’s mother accepted Jesus into her life as well. After 25 years of sickness, Karishma’s mother was healed and able to walk again. As congregations like this continue to grow, so does our world’s population. That is why Global Mission pioneers, such as Kamala, continue to work so faithfully. They are doing everything they can to take the gospel to the millions of people who are still waiting to hear about Jesus. Please pray for Kamala and other Global Mission pioneers as they work to start new Seventh-day Adventist congregations.